Please refer to http://countyarts.ca/membership/ for details of the membership categories and payment options available. Membership year runs from June 1 to May 31. Artworks must have been created since Art in the County 2018 and be original, unaided work except where work is a collaboration. All works must be for sale and remain on view for the duration of the show. Artwork will be photographed by an AITC official photographer and may be photographed by visitors. Photos may be published as part of AITC promotional material, including on the AITC website. Entry in the show constitutes acceptance of this. We strongly encourage artists to volunteer during the show. The time commitment is only a few hours and visitors have reported how much the presence and comments of an artist have contributed to their enjoyment of the show. We really need your help! It is no longer possible to submit your artist profile electronically. If you would like to have one available for visitors to consult, please bring a paper copy (8 ½” X 11”) when you drop off your artwork. A maximum of two (2) pieces in any medium may be entered. The price established for the artwork at submission time remains for the duration of the show. When a work is sold, a 30% commission is deducted from the selling price. The balance will be forwarded to the artist as soon as possible following the show. The jury will review all submissions and make the final decision on the work to be included in the show. Although all reasonable care will be taken with works submitted, insurance of the artwork while on show premises is the sole responsibility of the artist. In addition, Prince Edward County Arts Council (PECAC) assumes no responsibility for loss or damage to unclaimed works. Please keep a record of the information on your registration form. If you registered electronically (preferred), you will receive an email confirming your registration and listing your responses to each field in the form – please print this and refer to it when it comes time to prepare your artwork for submission. If you registered using the paper registration form, please make a copy to refer to later. An independent jury will select artworks to be included in the show and determine awards following an in situ viewing of the works delivered to The Armoury in Picton. The jury will select, without ranking, five Jurors’ Choice Awards and five Honourable Mention awards. Works that do not meet the conditions for entry will not be adjudicated. Inclusion in the exhibition is at the sole discretion of the jurors and their decision is final. The jurors will ensure the body of works selected represents the depth and diversity of the Prince Edward County artistic community. In selecting works, jurors will consider the display space, taking into account both two- and three-dimensional works. The jurors will collectively prepare a comment on each of the works selected for Jurors’ and Honourable Mention Awards and prepare, individually or collectively, a summary statement of their impressions of the exhibition. The jurors will remain on-site until 4:00 pm on Monday, June 17th to offer feedback to artists whose works were not retained for the show. The People’s Choice Award is based on votes received from visitors and will be awarded on the last day of the show. The Maison Depoivre Award will be presented by Maison Depoivre to an artist whose work demonstrates risk-taking and originality, technical skill and is thought provoking. The recipient of the award will be invited to display her/his work at Maison Depoivre for the rest of the 2019 season once Art in the County closes its doors at the beginning of July. The curators of Maison Depoivre will select 3 finalists from the artists presenting work at Art in the County. The three AITC jurors will determine the award recipient from the 3 finalists. We encourage everyone to register and pay online as it reduces the possibility of errors and streamlines the workload of our volunteers as they set up the show. If online registration is not possible, there is a PDF version of the registration form that you can print and complete. To enter your work, please complete the online entry form and print your artwork tag(s). Please use upper and lower case when completing the forms – NOT all capitals or all lower case. You will receive an email indicating that AITC has received your application and listing your responses to the application questions. Make your registration payment using PayPal or your major credit card. Limited subsidies are available for first-time applicants. For more information, contact Janna Smith at janna@countyarts.ca. 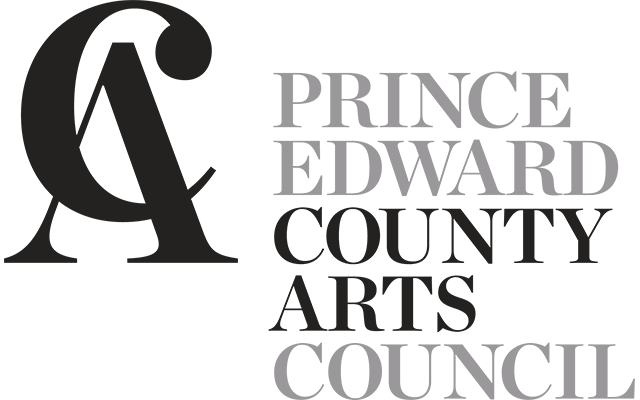 In addition to being a resident or ratepayer of Prince Edward County, all entrants to AITC must be a member of the Prince Edward County Arts Council. Please visit http://countyarts.ca/membership/ for details of the membership categories and payment options available. The membership year runs from June 1 to May 31. Note: It is no longer possible to submit your optional artist profile online. If desired, please bring it with you (8 ½” by 11” format please) when you deliver your artwork on June 16, 2019. Step 1 - Complete the Registration Form. Please use upper and lower case when completing your form – NOT all upper case. This registration form may be printed, completed and mailed or sent by courier to the following address. Like the online registration form, it must be received by noon on June 7, 2019. Information about bringing an artist profile, attaching the artwork tag and making your registration payment are included in this downloadable registration form. Please print the artwork tag, complete it and adhere it to the back of each work submitted. No more than two works may be submitted. Please select the number of submissions you are entering below and then click Pay Now. Note: Your entry fee is non-refundable. Limited subsidies are available for first-time applicants. For more information, contact Janna Smith at janna@countyarts.ca. Entry deadline for submitting paper registration form and payment to AITC office at 206 Main St., Unit 2J. There will be no outside box to receive forms this year. Entry deadline for submitting online registration form and payment. Delivery of artwork to The Mess Hall in the Armoury, 206 Main St, Picton. Don’t forget your artwork tag attached to the back of each piece. If you would like to place an Artist profile in our binder for visitors to consult, please bring one when you drop off your artwork. If desired, bring a supply of rack cards and/or business cards for the Artist Table. Note: You must confirm that your information (name, title, medium, selling price) is correct on our records by signing our confirmation sheet. If someone other than yourself delivers your work, this person must be authorized to confirm your information. Jury reviews and selects from artworks submitted the previous day. Pick-up of artworks not selected. On Monday only, those who would like to may be able to receive a critique from a juror about their artwork. Artists will be notified as early as possible of work not selected. Awards will be presented at Opening Night Reception. Invitation only. Pickup of unsold exhibited works at the end of the show. Art in the County is not responsible for any works not picked up. If you are unable to pick up your art in person, please make the necessary arrangements to authorize someone to pick up and sign out your art work. New for 2019: There is no pickup on Monday July 8th. 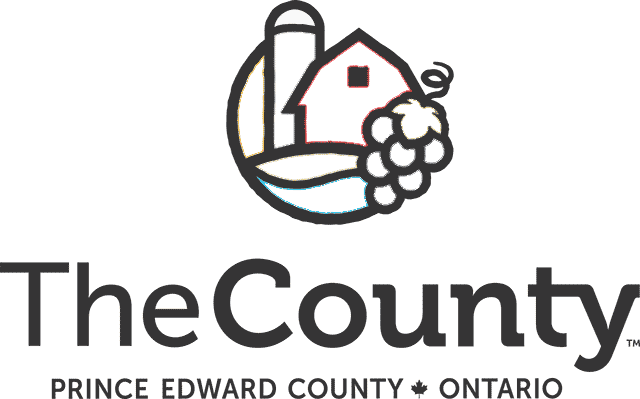 I’m a member of Prince Edward County Arts Council for 2019-20. I’ve completed the Entry Form (online or paper). I’ve printed a copy of the confirmation email (online registrations) or paper registration form for my records. I’ve paid my registration fee (online or by cheque enclosed with my paper form). I’ve printed my artwork tag(s). I may bring a supply of rack cards or business cards for the artist table or an artist profile (8 ½” by 11”) for the binder offered to visitors requesting further information about an artist.